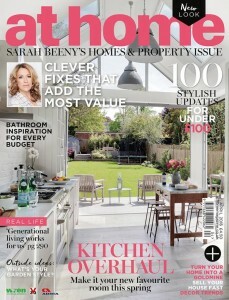 PlatinumNRG are delighted to be associated with the ‘At Home’ with Sarah Beeny publication. In the current issue, our exclusive Revival Window is featured on Pages 202/203 and showcases a before and after installation to demonstrate how this window can out the original style back in to your home. The Spring 2016 edition of the magazine is available now from most magazine retailers including W.H.Smith and Tesco. Please click on the magazine cover image to view the online version.